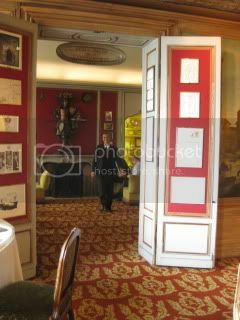 On the 2nd day in Paris, one of our friends invited us to an elegant lunch at La Tour d’Argent (15 Quai Tournelle 75005 Paris). 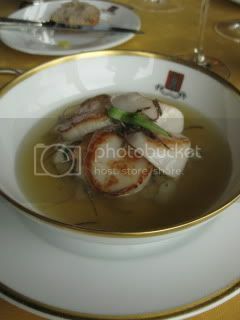 It was my first time to dine at the original location of this historic restaurant. 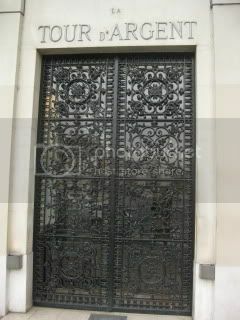 Everything is so classic French here. While we were waiting for the rest of the group to arrive, we hung out in their first floor salon and appreciated the interior with original dining set from 1903, ornaments, and decorations, which are priceless. 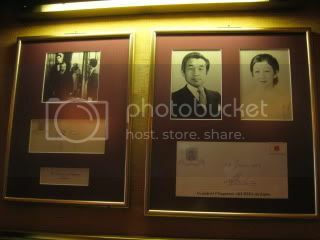 There were also many pictures and autographs of celebrities, dignitaries, and royals from all over the world. 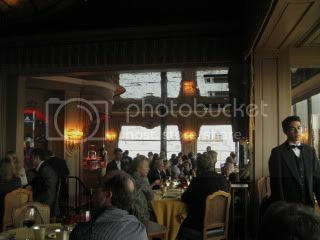 We were escorted to the main dining room on the top floor. We got the table by the window. 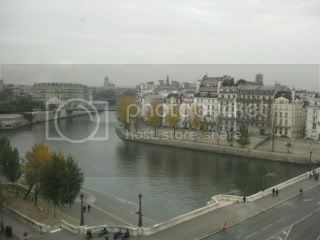 The panoramic view of central Paris was gorgeous. 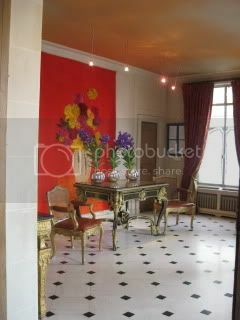 The service here is very formal, and all the employees are extremely well-trained and spotless. 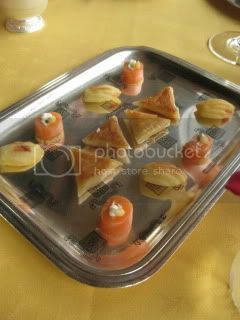 Amuse-bouche…cheese & mustard filled pie, smoked salmon, and madelaine, filled with tomato jam. 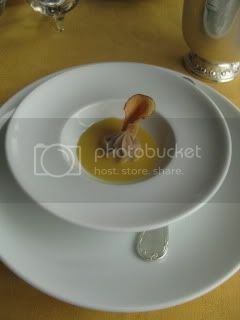 They were followed by butternut squash velute with chestnut puree. La Tour d’Argent is known for its great wine list. 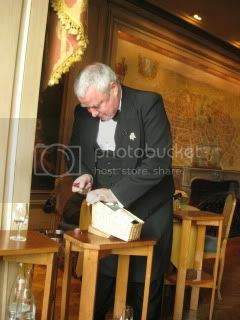 Its French wine collection is considered to be the best in the world with vintages dating back from 19th century. The wine list is bigger than a telephone book! 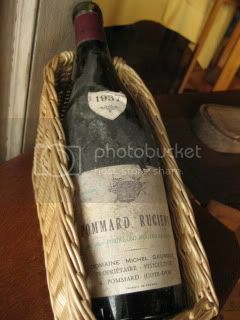 Our first bottle was 1988 Domaine Raveneau, Chablis Grand Cru, “Les Clos”. 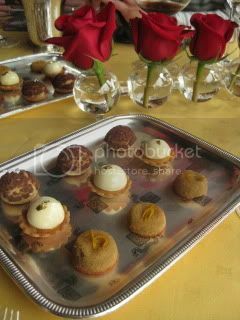 The color was beautiful golden. Hazelnut and earthy character on the nose, with minerality, acid, and sweetness from ripe citrus on the palate. The mouthfeel was round and luscious with long finish. 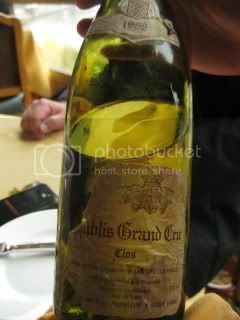 This was one of the best Chablis I’d had. 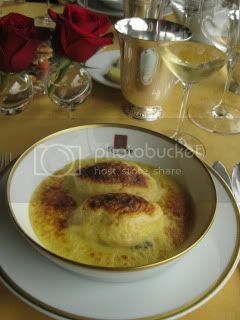 My first course…Quenelles de Brochet “Andre Terrail” (Pike dumplings “Andre Terrail”). 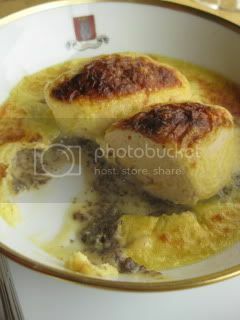 There were two large fish quenelles on the cream & egg based sauce, and the bottom was mushroom duxelle. 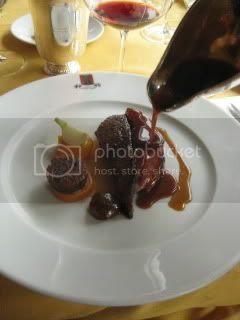 Main course…Canette de Vendee a la Courge Violon et Chataignes au Jus (Roasted duckling with marrow & chestnut). 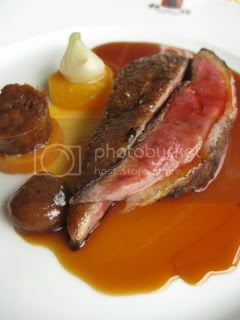 Their famous roasted duck. 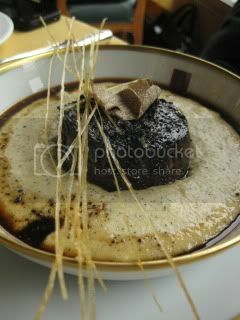 Other dishes...red-wine braised beef, and scallop dishes. For the main course, we did the decadent vertical of 1985 and 1937 vintages of Michel Gaunoux, Pommard Rugiens. 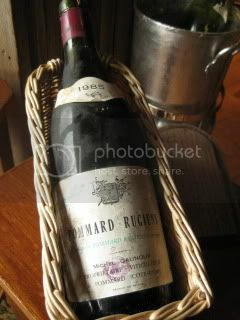 1985 was rich with dry fruit and spice character with a hint of grip from tannins. Still young and showing beautiful. 1937 simply blew my mind! 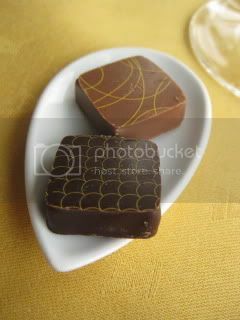 The color was garnet, and the aroma had the beautiful red fruit, dry flower, spice, and earthiness. 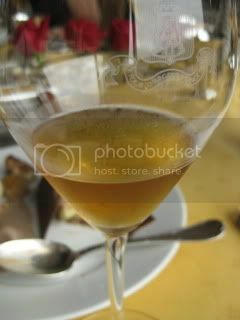 The palate was so elegant and smooth with orange, distinctive acidity, spice, and dry fruit. If I had it on a blind tasting, I would’ve never guessed it was 1937 vintage. It was so balanced and complex. 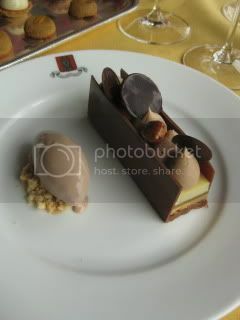 Dessert…Allumette Citron Noisette, Glace “Chocolat lait” (Lemon & hazelnut matchstick, milk chocolate ice cream). 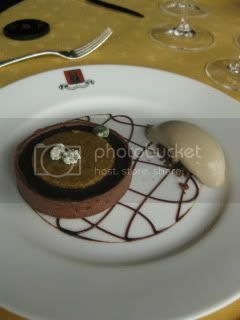 My friend had a warm chocolate tart. 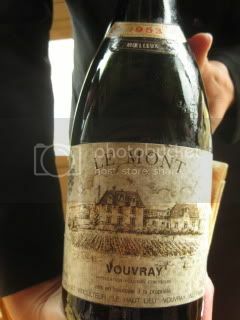 The last wine was 1953 Le Mont, Vouvray, Moelloux. Deep golden/ amber color. Light honey, orange peel, and high acidity. No botrytis in this vintage. Sugar was becoming a little drier. 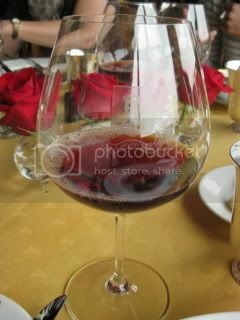 It was such a great wine lunch with friends and I savored every thing. Thank you, Lloyd!